You can check out the entire suggestion list online or scoot back a couple of blog pages where I put it on as a reminder. 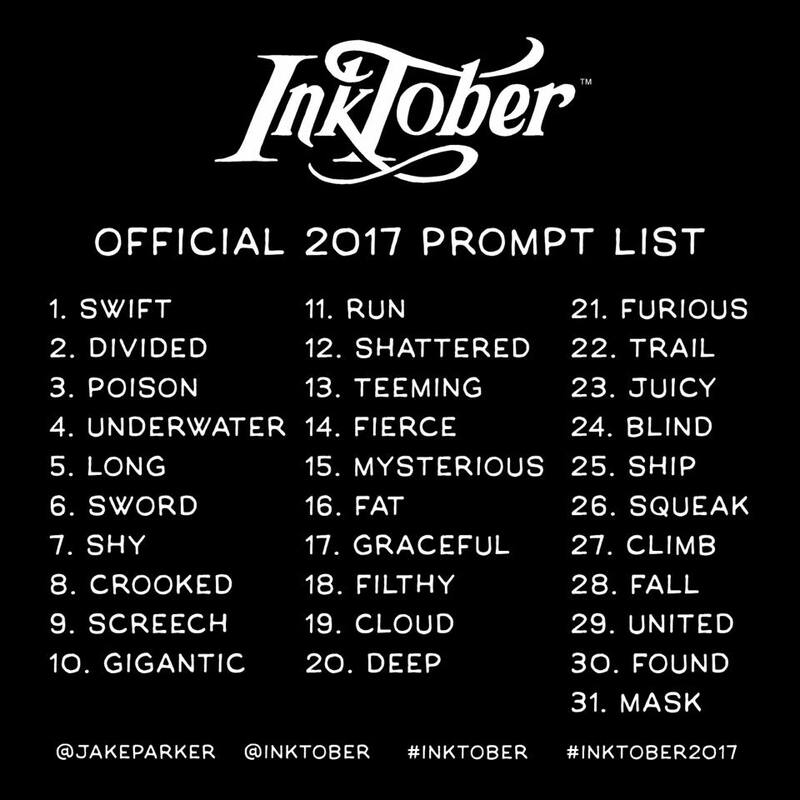 Here are the next three days worth of Inktober using the 2017 prompt list (see yesterday's blog for full list). If ever looking for inspiration on the internet for what to draw for a particular word... never just Google the word long... there are results there you don't want! I have been giving Inktober a whirl this year. Previously I've left it to the proper artists (like my husband), if you look it up online the pictures are so professional and mine are just little doodles, but why not? So here are the first three pictures I did, using the suggested list to give ideas for those of us who can't think of spectacular ideas without help (see end of blog). Do you know the expression ''like as two peas in a pod' meaning very similar? Well here is a felted model of our family portrayed as peas in a pod. As you can see, we are not that similar as we can be told apart. Anyway... clever daughter made that! and unsuccessfully painting them with model paint which failed and remained sticky forever, then resorting to a good old Sharpie. The rest of the beads I incorporated into a friendship bracelet made on a circular 'loom' made from a piece of cereal packet. Every few centimetres I undid one of the strands of wool from the loom, threaded a bead on it and pushed it through the hole in the centre of the cardboard loom, replaced the strand and carried on weaving the bracelet. They still have the seed pod shell stuck on the top of the shoot but that will pop off eventually. Some of them had to be potted on shortly after this as they got knocked off the windowsill and scattered. Inevitably, they have not grown much since then as I think they are still in shock... but if they carry on growing, I'll keep you posted! and these photos totally don't do it any justice at all. The sound was so loud and all-encompassing that it took your ears hours to recover. 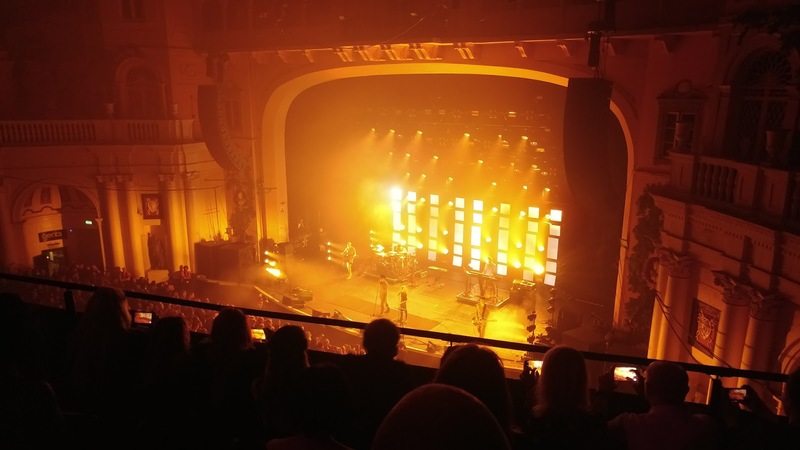 All the hits were there, especially the wonderful new album Savage, and so were his family, watching from the balcony just in front of us. 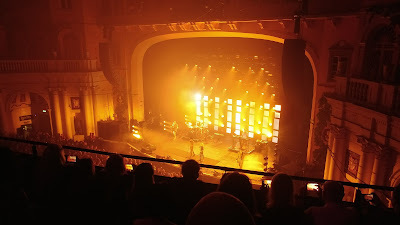 His daughter Persia sang live on the single Ruin and the concert was videoed for future release (which I shall certainly buy as I was too short to see much). Husband had a business trip to a hot and deserty part of America and brought me back a little plastic egg of a greenhouse containing vermiculite and some cactus seeds. - an opened egg, the vermiculite (Wiki says : Vermiculite is a hydrous phyllosilicate mineral. It undergoes significant expansion when heated.) useful for planting seeds when you want to cover them but not cut out the light, and a small capsule of seeds. and sealed back inside their tiny ovoid greenhouse to keep in warmth and moisture. That was the end of August so stay tuned to see how they are getting on. We love a stony beach - all our family prefer throwing stones or drawing on stones or sorting and collecting stones to just laying on dull sand.